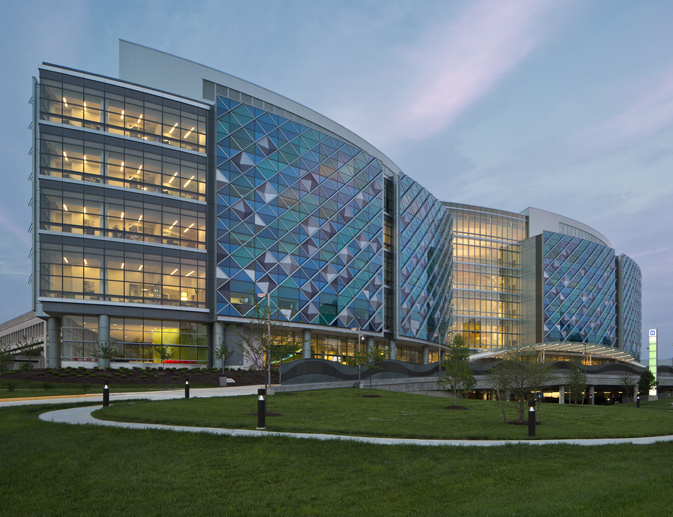 The new contemporary almond shaped Towers of Nemours/Alfred I. duPont Hospital for Children holds no resemblance to traditional hospital models with its playful geometric facade and bright colors welcoming visitors and beckoning them inside. FKP Architects embraced the project knowing that a health care environment is special. They believe that, “Not only must it comfort, it must perform.” Combining modern healthcare design with the talented lighting consulting team from The Lighting Practice in Philadelphia really brought the space to life. 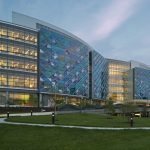 The towers encompass 450,000 square feet with 144 single patient rooms incorporating the latest technological advances, topped off with a five story atrium. The spacious rooms are alive with colorful décor and abundant sunshine from generous windows. 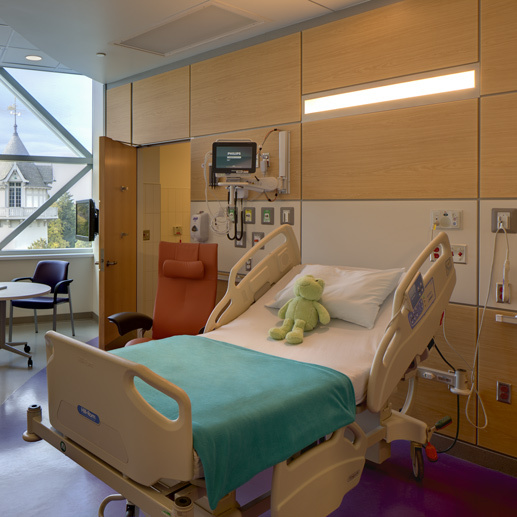 Separate areas in each room allow space for the patient, caregiver and even family. Indirect fixtures from ELP’s MP Series were placed above each bed to provide an asymmetric wash of light. They were specified with HG (Hospital Grade) options which include a gasketed, sealed faceplate and anti-microbial paint. Comfortable indirect light from the luminaires can be used for patient reading or simply illuminate the room to a relaxing light level.